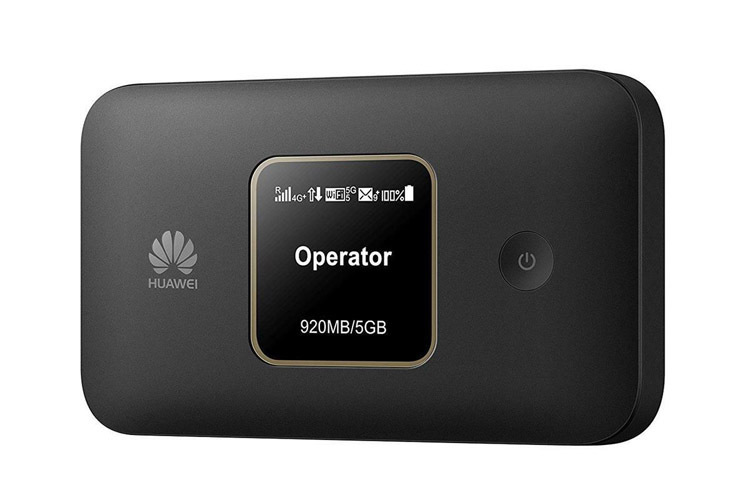 Huawei has launched the new E5785 LTE hotspot on the market. With not-high price, it still offers good facilities. 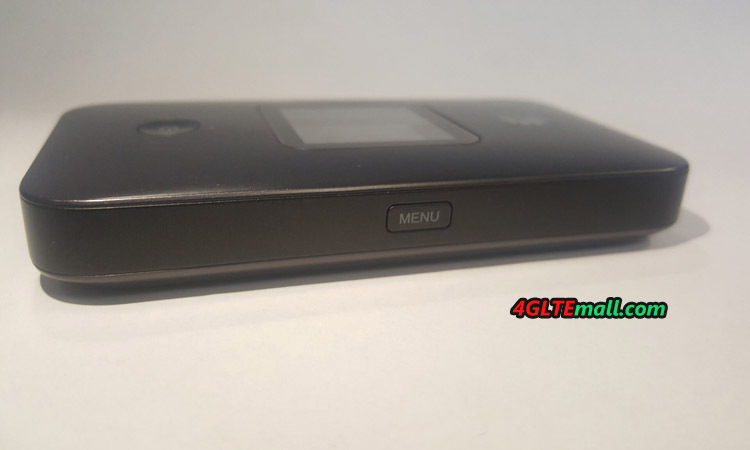 The Huawei E5785 has an LTE Cat6 modem for speeds up to 300 Mbps in the downlink and presents information about the device and the Internet connection via a small display on the front. There is dual-band Wi-Fi and the battery should allow about 10 hours of operation. Today, we would take a test on this new LTE hotspot. Huawei presented the E5785 as a successor to hotspots like the Huawei E5377 or the Huawei E5577. Visually, the E5785 differs little from the aforementioned predecessors, technically LTE Advanced Cat6 but now arrived in the middle class. With the battery, a quick-start manual and an extremely short micro-USB cable are packed with the E5785 device. To charge, you have to choose an existing USB power adapter or any USB port on your PC or laptop. The first impression of Huawei E5785 is good. For the test, the white version of the E5785 was available, but there is also a variant with black color to buy. The device is small and light and has two buttons: a power button on the front and a menu button on the side. The battery is replaceable; under the battery is the slot for the MicroSIM card. Good to know: Even NanoSIM cards with adapters work well when used with care. On the front there is a small rectangular display, which is easy to read and clearly displays important information. The Huawei E5785 offers the following specifications. Importantly: the exact model number E5785Lh-22c would work without any trouble in Europe. If you buy a device with a different model number, other frequency ranges may be supported. Confirguration is simple and easy. 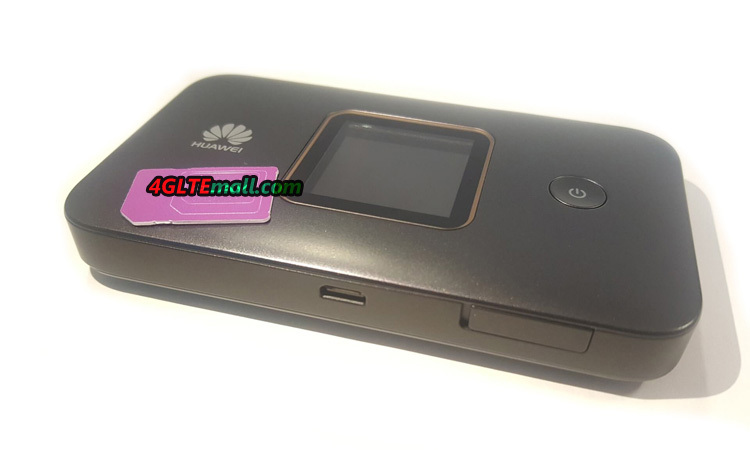 After power on the device, you have to connect via WLAN with the Huawei E5785, then you can enter the SIM pin and set up by Huawei HiLink App (available for Android and iOS) or via the browser web interface (IP: 192.168.8.1). An assistant leads through the most important settings, so that even less experienced users should be able to cope quickly. The used provider is recognized automatically via the SIM card, and normally the APN does not have to be entered. Further settings can be made in the web interface, for example, roaming for the use of the device abroad can be activated or the mobile network technology can be selected manually. You can store a data plan in the statistics menu and it is possible to send and receive text messages. The modem of the Huawei E5785 left an ambiguous impression in the test. If the reception was good, the LTE hotspot delivered excellent data rates – in an LTE 800 cell (Volume 20) almost 70 MBit/s in the downlink and around 25 MBit/s in the uplink were possible. However, the reception was not always satisfactory overall and with poor reception, the modem also provided comparatively bad values: a Netgear Nighthawk M1 provides almost double times fast while a Huawei B618 LTE router even three times as fast. The mobile hotspot showed no weaknesses over UMTS, in this case the speeds were often even higher than the comparison devices. To achieve the maximum possible speed, Huawei E5785 bundles different channels in the same or in different frequency ranges (see table above, “CA combinations”). In the test, the maximum data rate was about 200 MBit/s – significantly more will probably reach only very rarely, because the LTE networks of the providers are now often well utilized. 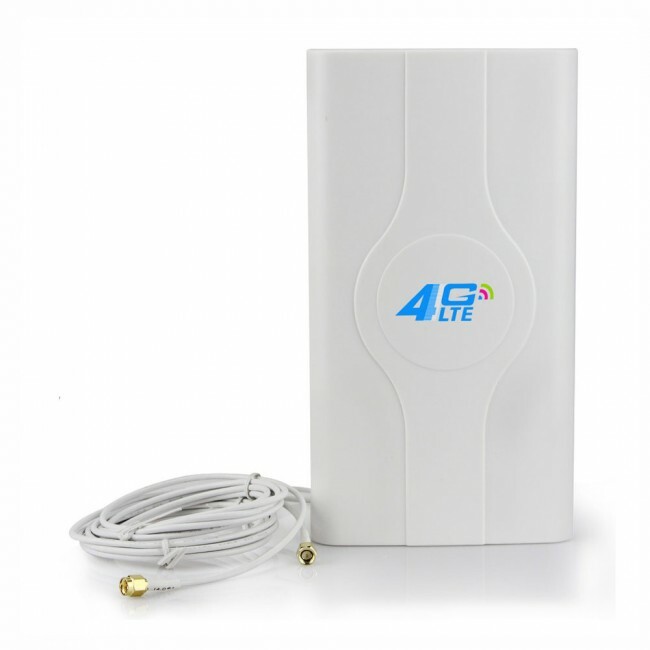 If required, an external LTE MIMO antenna can be connected to the Huawei E5785. For this purpose, two TS-9 connectors are available under a cover at the side. In the test, the use of a 40dBi LTE MIMO antenna with two TS-9 pigtails worked flawlessly. The WLAN of the Huawei E5785 operates either in the frequency range around 2.4 GHz or in the range around 5 GHz. The 802.11a/b/g/n/ac standards are supported with 2 × 2 MIMO antenna technology. Over 2.4 GHz are possible up to 300 MBit/s, on 5 GHz up to 867 MBit/s. In the test, the maximum connection speed was reached with an Apple MacBook Pro even at about 4m distance (line of sight), but as soon as objects or even a wall between hotspot and terminal are, the speed drops significantly. Overall, the range was neat, not better or worse than other mobile Wi-Fi hotspots. What was conspicuous: when using 5 GHz WLAN, the Huawei E5785 always needed about a minute after power-up to perform the DFS scan. During this time the WLAN connection was not usable. Huawei has again integrated the WLAN Extender function on the E5785, as with many previous models. The function allows using an existing WLAN connection as Internet access, as soon as it is within reach. This saves data volume at the data tariff. The WLAN Extender must be configured once via the web interface or the Huawei HiLink App, but can then be switched on and off on the device itself via the menu and the power button. In the test it was noticeable that the speed was limited to about 15 MBit/s when using the WLAN Extender function. However, this is not only the case with the E5785, the sister model Huawei E5885 also had this restriction. The battery of the Huawei E5785 is to allow about 10 hours of operation according to the manufacturer. In the test this was approximately achieved, with the operating time varies slightly depending on the application scenario. If you use the LTE hotspot in a train or in a car, where cell changes often have to be carried out, the battery life is slightly lower than for stationary use. The number of connected WLAN devices also has an impact on the runtime. 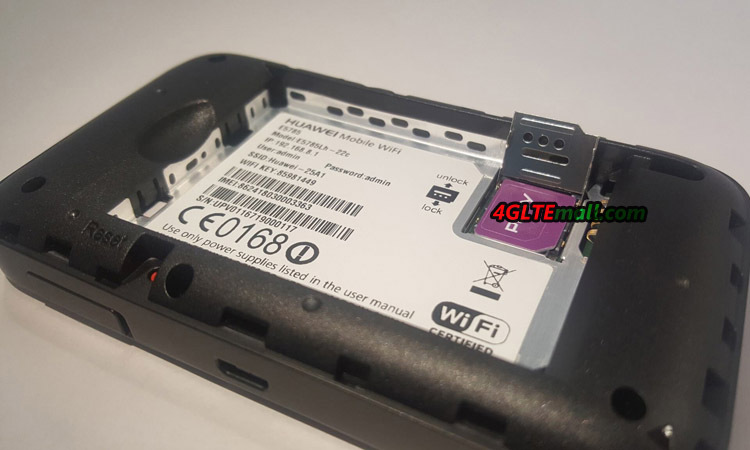 The Huawei E5785 does not have a MicroSD memory card slot. The site has a micro-USB port for charging and connecting to the computer. Even if no device is connected via WLAN and the Internet connection is exclusively used via USB: you can not completely switch off the WLAN. Overall, the Huawei E5785 left a good impression in the test. The battery life is good, the setup was fast and the operation is very easy. Wi-Fi and modem worked perfectly in the test, the LTE speeds with weak reception but could be improved. 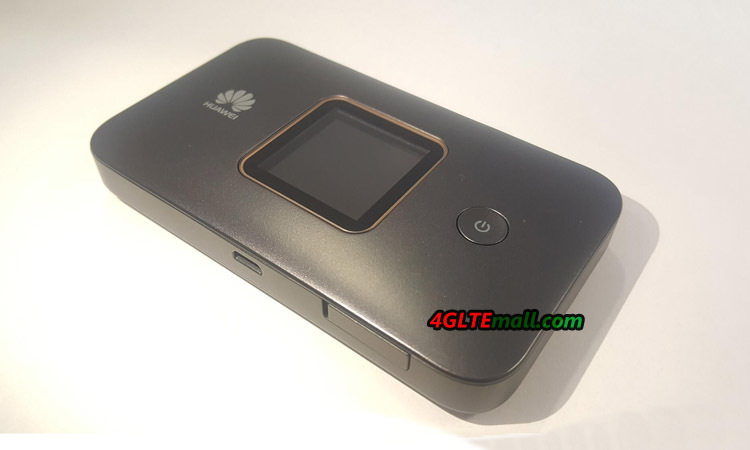 The Huawei E5785 has to fend off competition, especially from its own home: the LTE hotspots Huawei E5577C and Huawei E5377 are a bit slower and have a shorter battery life. A slightly more expensive alternative is the Huawei E5787 with a large touch screen and the Huawei E5885 with LAN connection on. 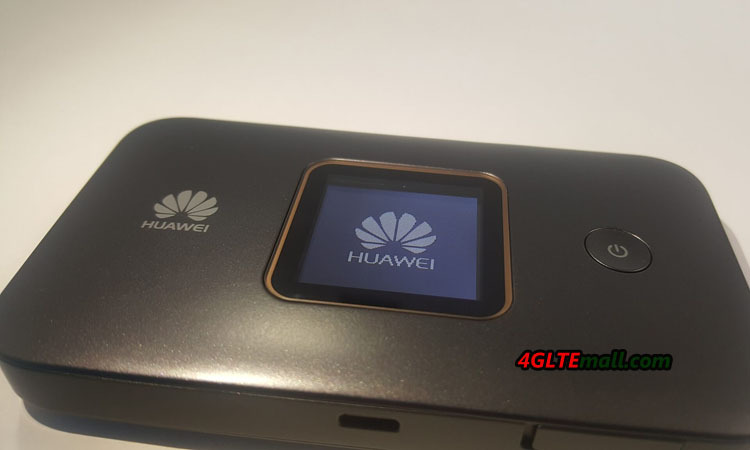 Recently, Huawei released a new Gigabit LTE hotspot Huawei E5788, we suppose the price of Huawei E5785 would drop soon after the new model available on the market.